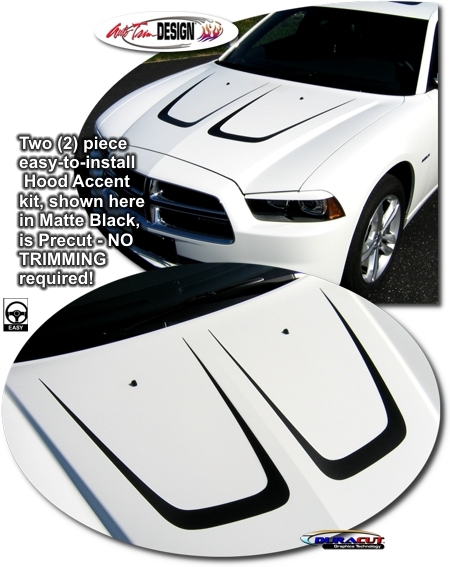 Make your '11-'14 Dodge Charger stand out from the rest with this great-looking Hood Accent kit. Graphic kit consists of prefitted and contoured pieces as shown in the illustration. This kit is specifically made for the '11-'14 Dodge Charger factory hood as shown and will not fit any other vehicle.